No one was paying attention to the bad weather when on 9th November a huge crowd was gathering at the entrance of Torwar – one of the biggest venues in Warsaw. Everyone came there to see Them. 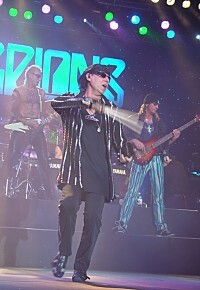 The Mighty Scorpions. 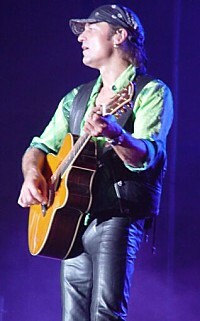 It was the show that ended a long tour to celebrate the 30th anniversary of the band. 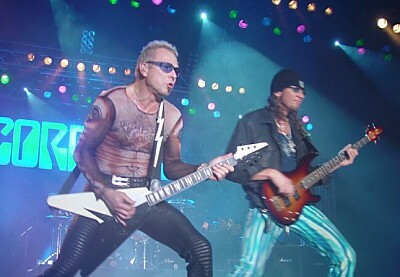 Of course we couldn't expect original line-up, but Klaus Meine, Rudolf Schenker and Matthias Jabs teaming up with Ralph Rieckermann and James Kottak (known from Kingdom Come, Warrant and MSG) were enough for us. They surprised us with set of songs they've chosen to play. As usual they started with „Coming Home" and all of us were shocked that the „dinosaurs" are so fresh and in perfect condition. Many old fans were dreaming about hearing some of `70 stuff. And Scorps didn't disappoint them. No 2 this evening was „We'll Burn The Sky" from 1977 album „Taken By Force". Later we've had a chance to hear their biggest hits from different eras of their career: some fast, hardrockin` stuff like "Dynamite", "No One Like You", "The Zoo", "Bad Boys Running Wild", "Big City Nights", "Loving You Sunday Morning", "Tease Me, Please Me" together with great ballads. 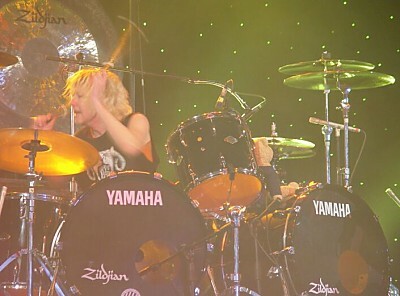 They didn't forget about the classic instrumental song "Coast To Coast" where James Kottak presented an outstanding five-minutes long drum solo. 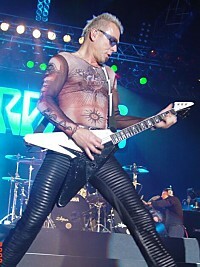 The biggest success in Scorps career was for sure releasing the 1979 album „Lovedrive". They've played 4 songs from this release – the above mentioned "Loving You Sunday Morning" and "Coast This Coast" together with "Holiday" and "Always Somewhere". They finished the main part of the show with „Blackout" (Schenker looked exactly like on the artwork of this album with bandages all around his head) but it was clear that the crowd won't let them go. The guys were back in few minutes to satisfy their fans with „Wind of Change" and immortal „Still Loving You". After this part they've prepared a surprise for Polish fans – they've invited two special guests to the stage. First of them was one of the best Polish rock guitarist Jan Borysewicz (from the band Lady Pank) known as Jan Bo, and the second one was their longtime friend, Polish boxing champion Dariusz „Tiger" Michalczewski. Together they've performed one of the biggest Lady Pank`s hits „Always There - Where You Are". 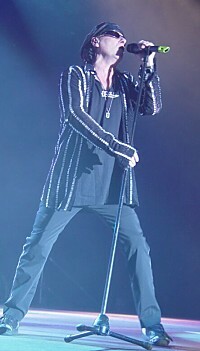 They finished the whole show with two ultimate classics – the favourite song of mine „Rock You Like A Hurricane" and with an acoustic version of the unforgettable ballad "When The Smoke of Is Going Down". They've dedicated the last song to whole crew who supported them on the tour and thanked them for months of hardworking. Without a doubt it was a great show. The Scorps refreshed our memories and made us feel like we were 10 years younger. After watching Dokken`s show in Budapest I was expecting a few guys around retirement age and I was shocked when I saw them. They`ve got much more energy than many young bands so now I`m expecting a really asskicking album from them. 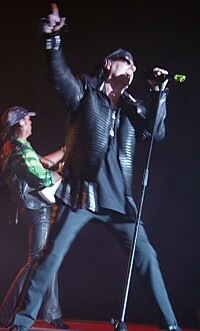 Probably there wasn't even single piece of a stage unvisited by Klaus Meine. 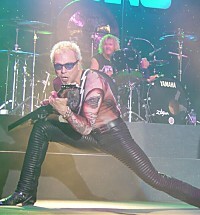 Schenker was „playing" like an actress (check pics if Ya don't know what I mean) and Kottak made few amazing solos showing his amazing abilities (playing with smashed bottle beer wasn't something special). 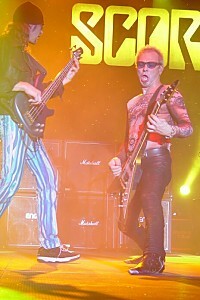 The guys even learned some Polish words cause they were talking to the crowd. To put it straight – You all can be mad that You weren't there.